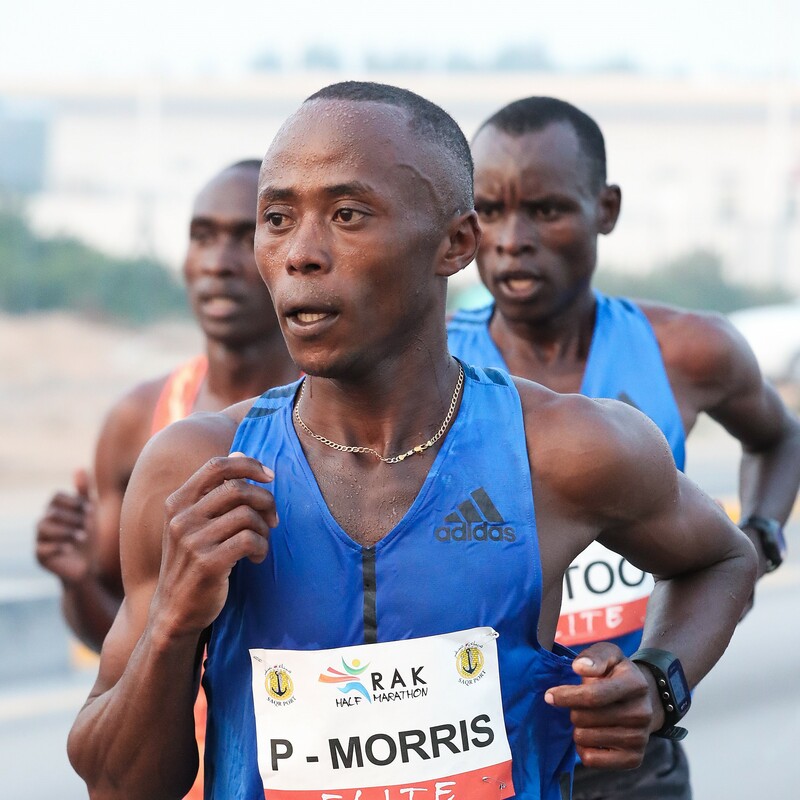 One of our youngest Kenyan athletes produced the performance of his life at the RAK Half in UAE on Friday (9 February), finishing comfortably inside 60 minutes for the first time in his career. Still only 22 years old, Morris Gachaga crossed the line 5th in 59:36, taking almost a minute off his previous best time for the distance, set at the Wachau Half in Austria in 2016. Morris was invited to the race as a pacer, on the understanding that he would be allowed to complete the race if he chose to do so once he had paced to the 15km mark. By anyone’s standards, his splits in Friday’s race bear witness to an athlete in outstanding form: 13:52 at 5km, 27:48 at 10km, 41:54 at 15km and 56:27 at 20km. The RAK Half is notoriously fast, and this year’s edition proved to be no exception, with new course records set in the men’s and women’s races (58:42 and 64:52 respectively). At the time of writing, his 59:36 is the fourth fastest half marathon in the world in 2018. His next race will a fast half marathon on European roads in March.